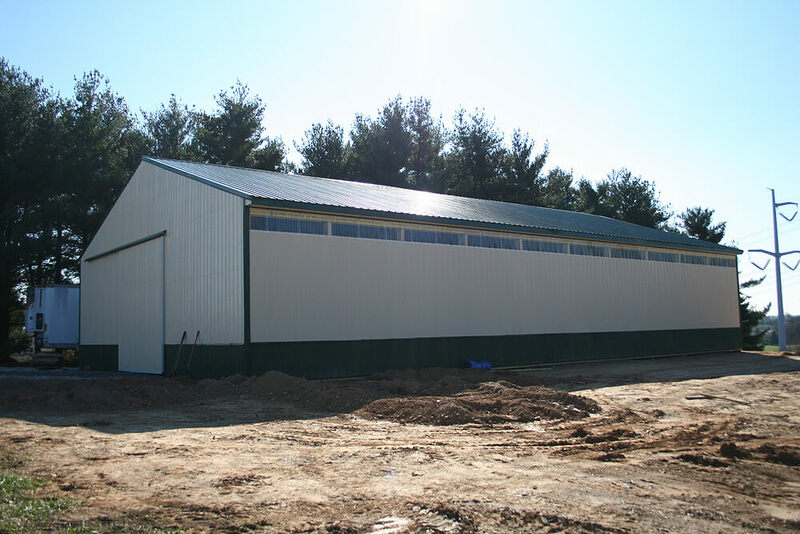 This fruit farmer called in searching for a building to accommodate heavy duty farm equipment, as well as extra cold storage space for fruit. 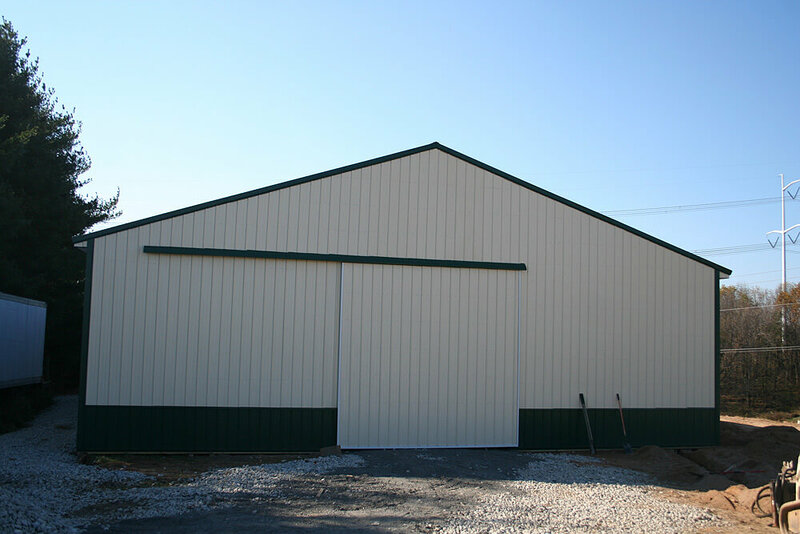 We were able to meet his needs with this 14' high, two tone building. McElroy metal panels were used on both roof and walls. The large sliding doors with cannonball hardware allow for easy access into the building. Translucent panels on the eve wall let natural light into the building during the working hours of the day. We used our in house 3Ply 2x8 Tuff Posts to support this structure. These laminated poles stay straight, and are very cost effective when used on a building of this size.